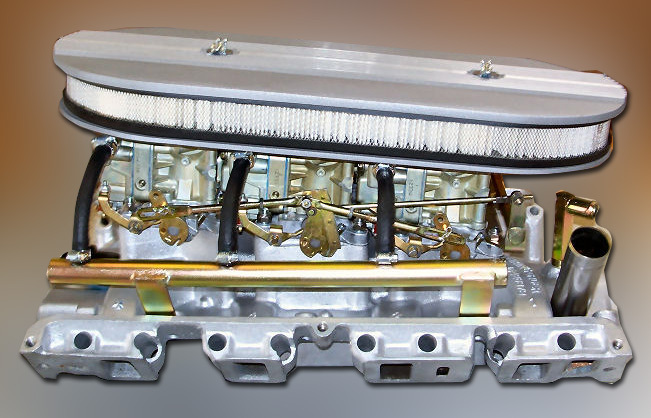 the mad scientist of forced induction. His finger prints are on home-made adaptations, mating blowers onto Ford flatheads. His handy-work is also found on Caddy V-8s and Ford Y-Blocks, all benefiting from vastly improved respiration. 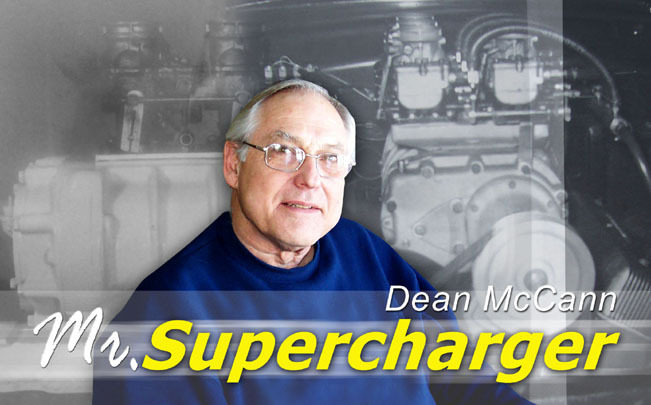 Just take a look at the photos below and see Deans influence and involvement including the Ford Battle Birds in 1957, early 1960s Ford factory drag racing activity, and a recent fabrication of a Eaton supercharger application for a Morgan sports car. In 1961 Dean was envolved in the legendary Ford Tri-Power setup. Don 'Sully' Sullivan designed the manifold and Dean designed and developed the rest of the unit at DST. Dean built the Ford sponsored car that won the 1963 NHRA Indianapolis Nationals in "D" Stock with Milo Coleman driving. Milo got a 1964 Thunderbolt from Ford as a result. Dean currently gets his kicks in his fully equipped personal machine shop where he modifies and hot rods snowmobiles. Hey, this guy aint no wimp. He doesnt pack up and go down south when it gets cold. He cant wait for snow to fall in Michigan! 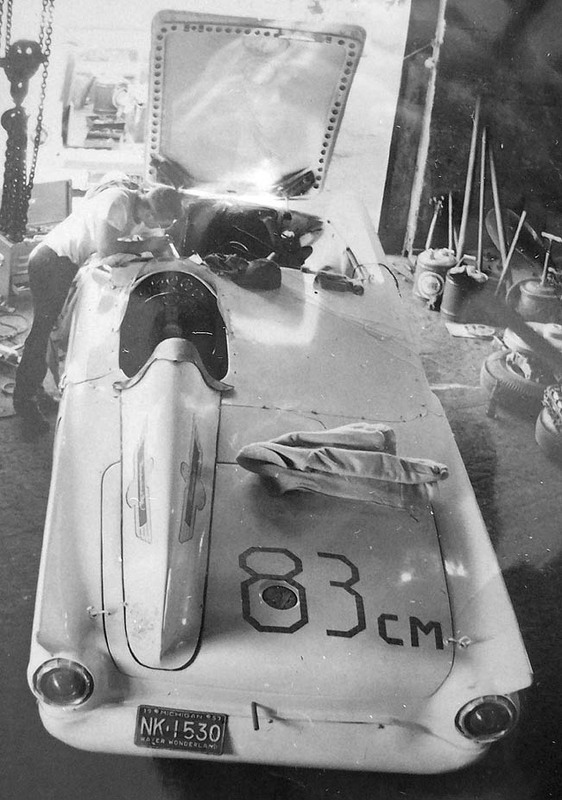 Here’s a view of Dean wrenching on a ’57 Ford ‘Battle Bird’. He managed the team that prepared these racers for Dearborn Steel Tubing (DTS). They won Class A at Road America in 1957. The legendary Ford Tri-Power setup! 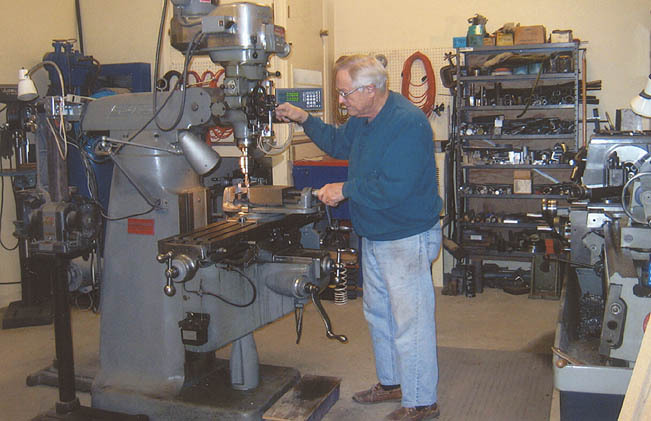 Heres the wizard hard at work in his fully equipped machine shop. Real hot rodders never rest!